Three years after the last Subseason release, long time ambient/electronic veterans Brooks Rongstad (Exuviae) and Nathan Larson (Bunk Data) return with their unique blend of analogue and digital improvisational soundscapes. This release was recorded in one continuous take live at Grey Hat Terminal on August 12, 2011 and streamed live to the Stillstream.com radio program Sadayatana. No additional processing or post editing was performed to the recording. I was pretty stoked to get these guys playing live on my show. Big inspiration to me. 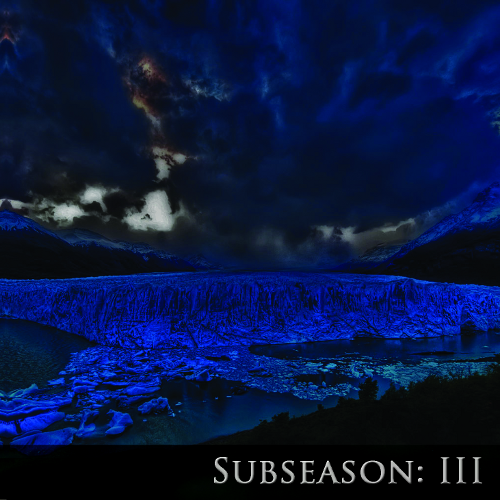 Played their "Subseason: II" a bit on Houston's KTRU. 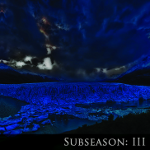 Little did I know that they would be doing Subseason: III live on my Sadayatana show. Huzzah! Oh yea... here's a picture of the gear they used. Don't ask me. I don't know what that stuff is. Looks cool though. 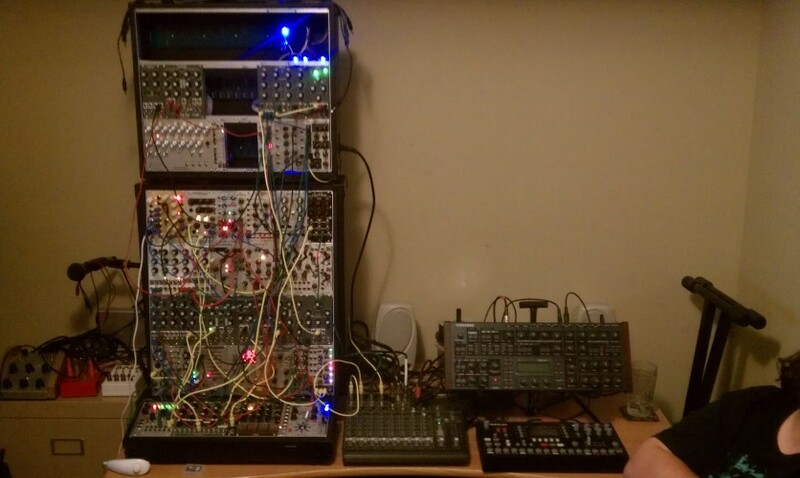 I have seen dudes make great soundscapes with just a few circuit bent toys that kick the crap out of a rack full of modular gear.